If you’re going to take the time to search out organic foods or grow your own, I figure you also care to know about maximum nutrition from said foods (and if you don’t, you should!). When you pick, how you store and other variables are all important in this game. When you pick a fruit or veggie, you haven’t killed it yet. It’s going to go right on breathing for a while, absorbing oxygen, releasing carbon dioxide and using up its stores of sugars and antioxidants to perform these functions. Take home message: better to grow it, then pick and eat ASAP. But if you can’t, remember that some foods are heavy breathers (they may have something funny in mind, although so far I haven’t been assaulted by a broccoli). Artichokes, arugula, asparagus, broccoli, Brussels sprouts, cherries, corn, kale, lettuce, mushrooms, okra, parsley, raspberries, scallions, snap beans, spinach and strawberries are all foods you want to eat or preserve as quickly as possible. And by the way, for maximum nutrition, pick it ripe. Not only does it taste better, it has more nutrients. Color matters — and so does size. Many of our modern veggies are a lot less colorful than their ancestors. Purple cauliflower was once the norm. The less colorful versions, however, have fewer anthocyanins, which means fewer antioxidants (and we need all we can get nowadays). 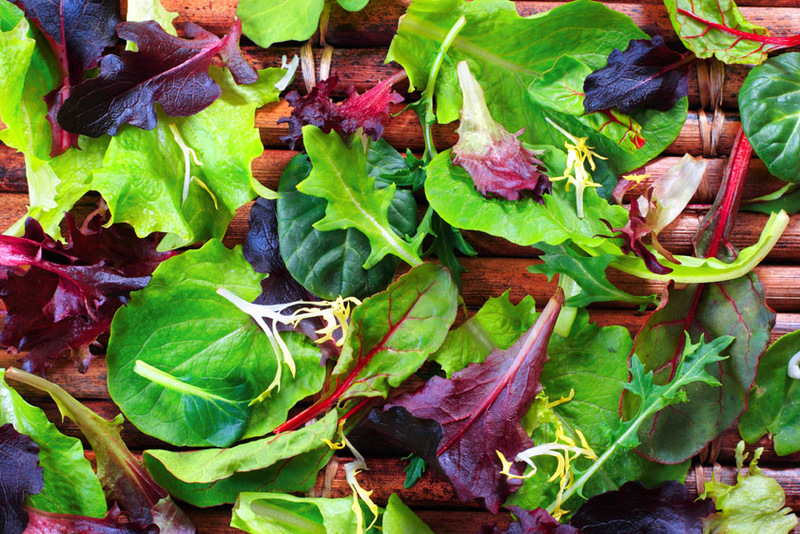 Leaf lettuce, which comes in a lot more colors than iceberg, is healthier than the light green stuff. So try some blue potatoes, deep red carrots or Indian corn. On the other hand, small is more nutritious — and often better tasting — than large. Cherry tomatoes often have more flavor than the beefsteaks, although they are a bit harder to slice for sandwiches. Cherry tomatoes also have more lycopene – which may help prevent prostate and some other forms of cancer. Our unwatered apples (grown here on the ranch) are about half the size of their supermarket cousins and are also much sweeter. Keep ‘em cold and don’t overcook. With a couple of exceptions — tomatoes are one — refrigerate foods as soon as you pick them. Take a cooler with ice to the store. Remember, the produce you buy may not have been handled for maximum nutrition. When you harvest that head of lettuce, bring it right in, wash in cold water and chill it in the fridge. Asparagus and cruciferous veggies — broccoli and such — should be slightly crunchy for best taste and maximum nutrition. Overcook and they’ll have a bitter, sulfurous edge. Alliums such as onions and garlic have lots of health benefits. After you chop or otherwise prep your garlic, let it sit for about 10 minutes so it will produce the maximum amount of allicin, its main healing ingredient. Red onions have more antioxidants, but many people prefer sweet onions when eating them raw. Cook the stronger onions for about five minutes over medium heat. Round or oval onions, by the way, tend to be hotter than wide, flat onions. Green onions and leeks give you more nutrition, because you also eat all or some of the green parts. The absolute best method, of course, is to stalk the garden rows with hose in hand. Pick something ripe, sluice it off and chow down. This entry was posted in Farms, Food, Health and tagged apples, broccoli, cruciferous vegetables, garden, lettuce, nutrition, onions, tomatoes, vegetables. Bookmark the permalink.